Flush with cash, Justin Ma and Matt Davis struggle to reconcile growing expectations for FTL with their vision for the game. Ben Prunty, FTL’s composer, in a photo posted to his blog, benprunty.com. Ma and Davis found themselves standing at the same crossroads visited by all creative individuals who made the decision to offer their works for public consumption: they could give in to popular consensus and incorporate the bulk of the suggestions their fans sent in, or shut out the masses and stick to what they wanted for their project—even though their project was no longer wholly their own. They agreed to hold to their vision as much as possible, channeling the money into play-testing and areas that felt ripe for improvement. Ben Prunty received a proper paycheck and expanded FTL‘s soundtrack. Despite the enormous pressure from the Kickstarter campaign’s resounding success, Ma and Davis appreciated the player feedback it begat. Certain reward tiers of the Kickstarter promised inclusion in the FTL beta test. Thousands of players kicked in the money necessary to participate in the play-test and flooded Subset Games with a deluge of feedback and suggestions. Ma and Davis picked through every message carefully, open to yet cautious of any change that might compromise the game they had set out to make and the game they had promised their constituents. A vocal majority of players asked for more world-building details. Ma and Davis concurred. Prior to the Kickstarter, every character, star system, and alien race they had dreamed up had originated from a desire to incorporate cool gameplay possibilities. Story had always come later. The alien race whose engineers could repair damage at twice the normal speed at the cost of inflicting half as much damage on enemies was a fun gameplay idea first, and a world detail second. 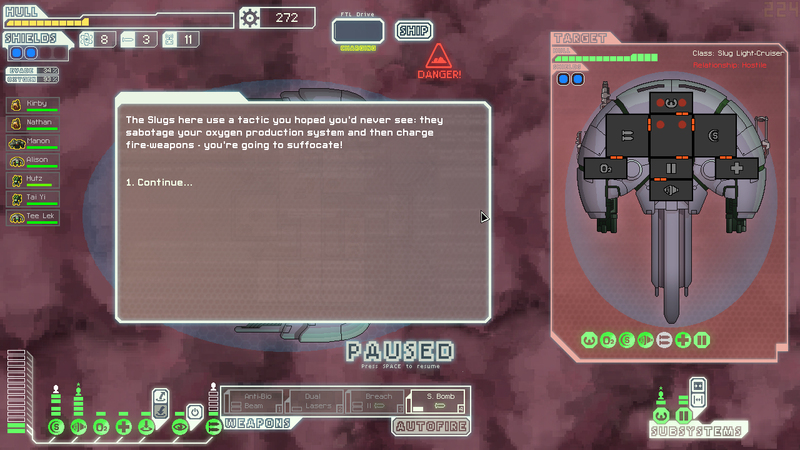 Much later, they dashed off a back-story for the alien race, which they ended up calling the Engi. Tom Jubert, FTL’s writer, in a photo posted to his blog. Achievements held another spot on beta testers’ wish lists. A meta-game reward that rose to popularity on Microsoft’s Xbox 360 game console, achievements asked players to complete specific challenges in a game, such as hitting a high score or defeating a boss without taking damage, in exchange for points added to their user profiles. Other players on their friends list could pull up their profile and marvel at all the points they had racked up. Game balance was the most popular topic of discussion between FTL‘s testers and creators during the beta, and long after the game’s release. 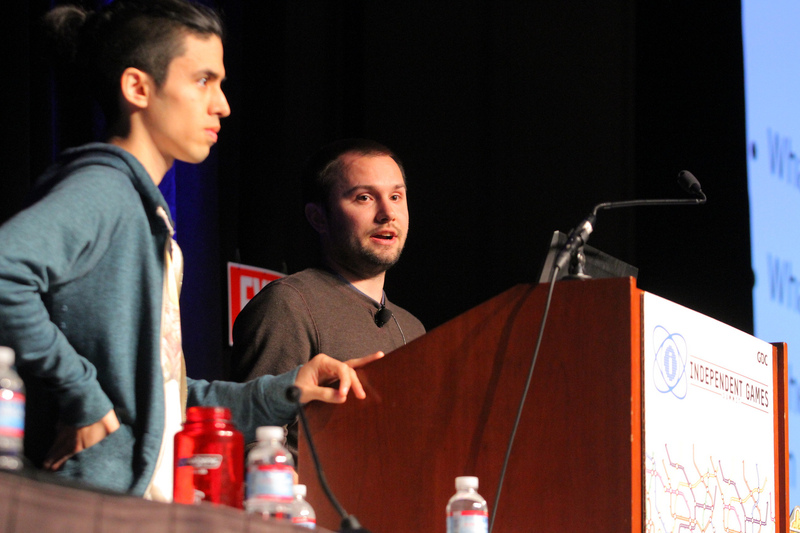 From the moment they decided to implement randomly generated scenarios influenced by Spelunky and roguelikes, Ma and Davis knew FTL would be an extremely difficult game, which was exactly what they wanted. They knew, however, that a fine line separated difficult and unfair. To strike the compromise, the pair weighed the difficulty of enemies in each sector against how many upgrades players should have gained from defeating enemies in previous battles. Some players might avoid battles, they knew, by jumping as soon as their ship recharged, skipping across space like a stone over water until they sailed across the finish line. Subset Games did their best to predict blockades might arise on the path to having fun and clear them away. Many games peppered players with irksome questions like “Are you sure?” when they wanted to quit a game and try again, and wasted several minutes loading data and piling on story exposition. FTL transferred players from the game-over screen back to the main menu in seconds. No wasted motion. Juggling player expectations and guiding FTL through its final polishing stages proved less arduous than slogging through the business concerns inherent in releasing a commercial product. Ma and Davis spent several months in 2012 negotiating deals with distributors, giving interviews to press and bloggers, answering piles of emails, maintaining a presence on the Kickstarter page where they posted updates to constituents, and responding to eager gamers on social media—all the things introverted game developers tended to tolerate rather than embrace. “I think that was the hardest part of development. The actual development of the game was just a breeze, almost a vacation compared to all that,” Ma admitted. Even in glittering Shanghai, groupthink has not killed off individuality. Huddled amid skyscrapers that stretch up into the smog is Tianzifang, an enclave where indie artisans ply handmade jewelry, arts, crafts, and paintings. Flowers spill out of open windows, and trees line the sidewalks, guarding cafes and shops like sentinels against the forward march of steel and smoke stacks. The locals may not sleep in mattresses lined with currency or drive cars hot off the assembly lines, but they do well enough. Justin Ma and Matt Davis, indies who paint in code and pixels instead of gems and oils, released FTL: Faster Than Light on September 24, 2012. If graded according to the list of marketing boxes that big-budget developers are expected to tick off to stand a chance of receiving funding from publishers, FTL would have failed. The game spared little time teaching players how to play, leaving all but the most basic actions up to them to learn as they groped their way along. FTL contained no glitzy cinematic sequences that cost almost as much to produce as the game itself. 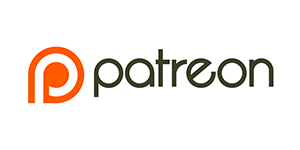 It was bereft of aesthetic knickknacks that cost real money to purchase, an increasingly popular method of creating a perpetual income favored by publishers. FTL eschewed multiplayer connectivity in favor of a strong single-player-only mode. 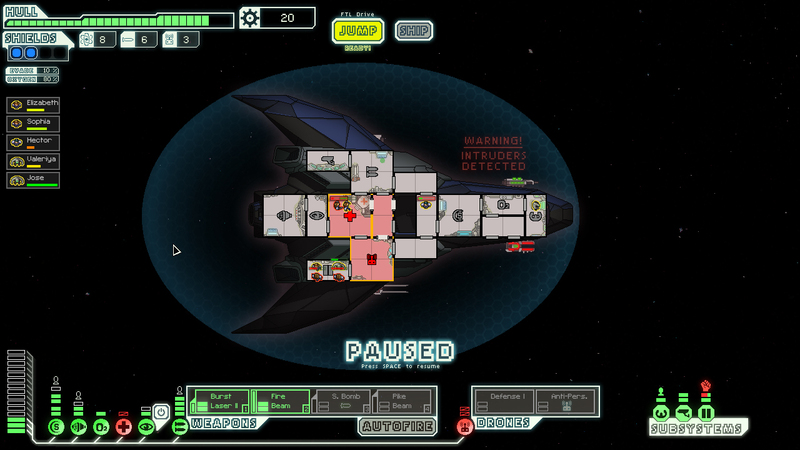 But FTL‘s cardinal sin was its cardiac episode-inducing difficulty, a surefire way to scare off all but the most die-hard players, who made up a fraction of a fraction of gaming’s paying customers. In spite of bucking every trend that juggernauts like 2K, Electronic Arts, Ubisoft, and Activision-Blizzard hold as dogma, FTL has thrived. From the moment it hyper-jumped aboard digital platforms such as Steam and Good Old Games, the roguelike-board-game mash-up was greeted by thunderous critical acclaim. PC Gamer immediately put the game on its short list for Game of the Year. 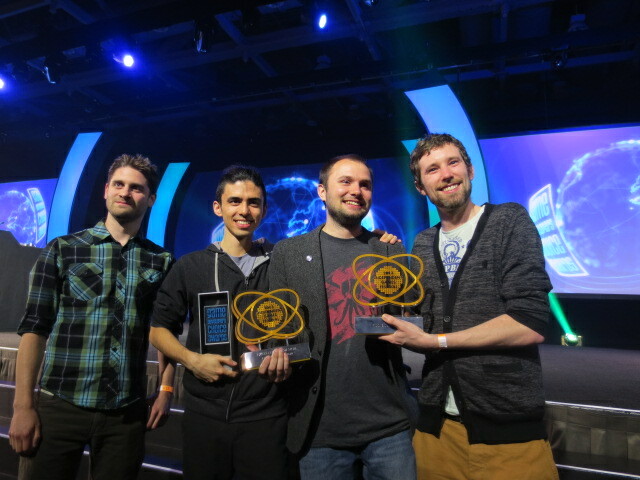 Perhaps even more meaningfully to Ma and Davis, a panel of judges as the 2013 GDC Independent Games Festival presented them with the Excellence in Design, Best Debut, and Audience Choice awards.